England pace spearhead Stuart Broad has been fined for showing dissent at the on-field umpire during the fourth day of the second Test against South Africa in Cape Town. The 29-year-old, who pleaded not guilty for the charge, was fined 30 per cent of his match fee by Ranjan Madugalle of the Elite Panel of ICC Match Referees. 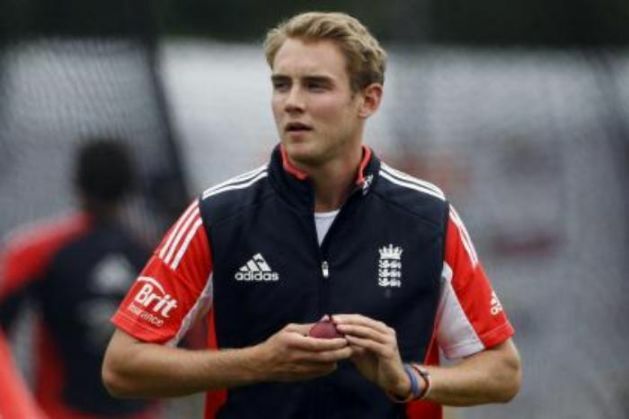 Broad was found to have breached Article 2.1.5 of the ICC Code of Conduct for Players and Player Support Personnel, which relates to "showing dissent at an umpire's decision during an international match". The incident took place in the 195th over of South Africa's innings when Broad showed dissent by twice telling on-field umpire Aleem Dar to 'just get on with the game' after he had warned England skipper Alastair Cook about the fast bowler damaging the pitch by kicking it in frustration. The charge was levelled by on-field umpires Dar and Bruce Oxenford, third umpire Rod Tucker as well as fourth umpire Shaun George.